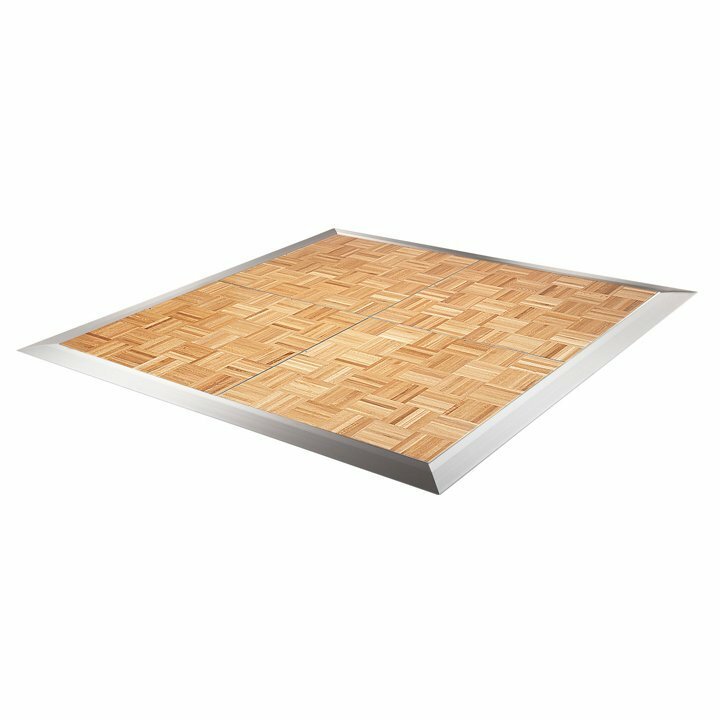 Cam-Lock Portable Dance Flooring gives you the elegance and durability of the SICO® Original Parquet Dance Floor — along with the positive connection of a Cam-Lock locking system. Perfect Choice for Frequent Usage! 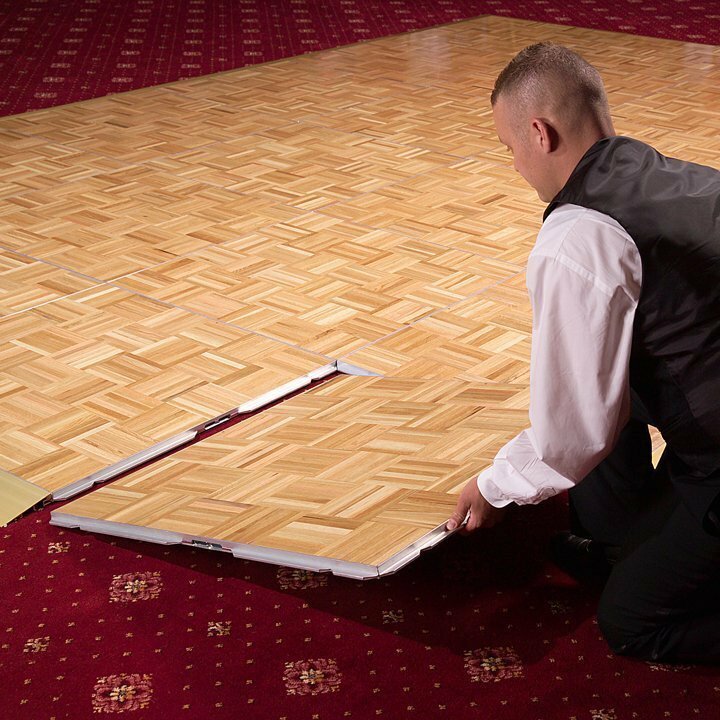 The addition of the positive Cam-Lock system to this floor dramatically reduces set-up time and is a good choice for facilities that use dance floors on a frequent basis. The Cam-Lock allows you to automatically align panels and trim pieces together for a faster and secure fit. A half-turn with an Allen wrench is all that's needed to lock or unlock panels, reducing the time and labor required to lay down the floor. 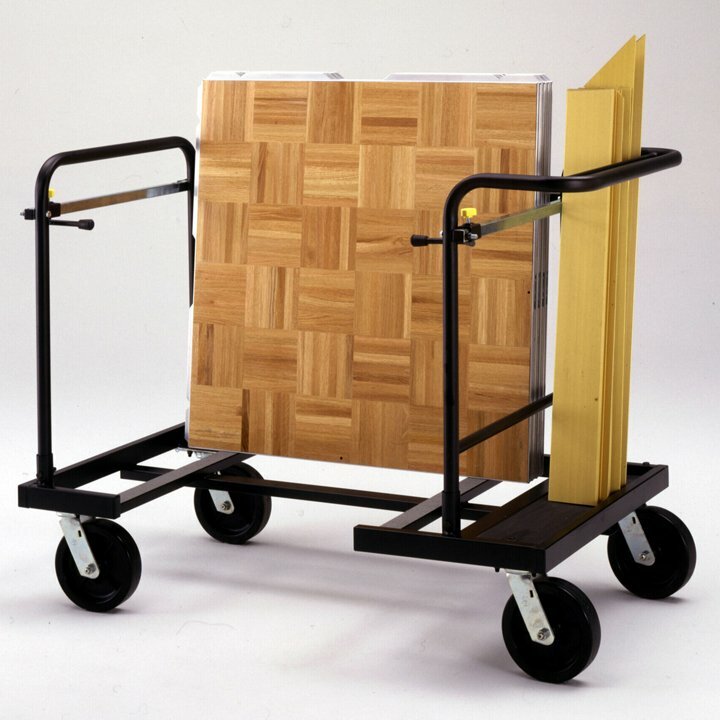 Cam-Lock's reliable positive locking system is not dependent upon magnets or gravity to keep panels interlocked. 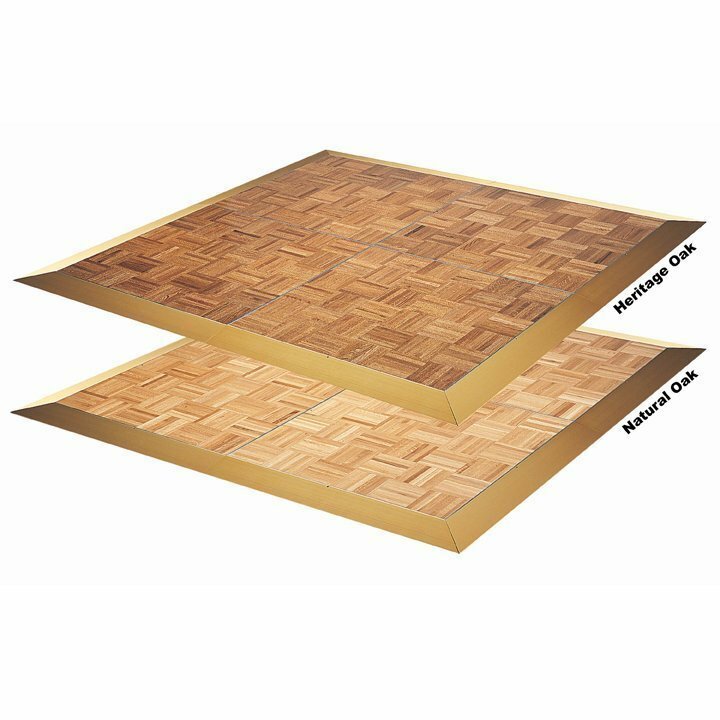 At SICO®, we use only the highest-quality wood parquet and guarantee the square-ness of every panel, making set-up and take-down easy. Plus, the back of each panel is coated with a high-grade polymer for a protective barrier to moisture. The SICO® gold anodized border trim provides a modest 11° slope to every floor, along with a broad 5" width (127 mm). 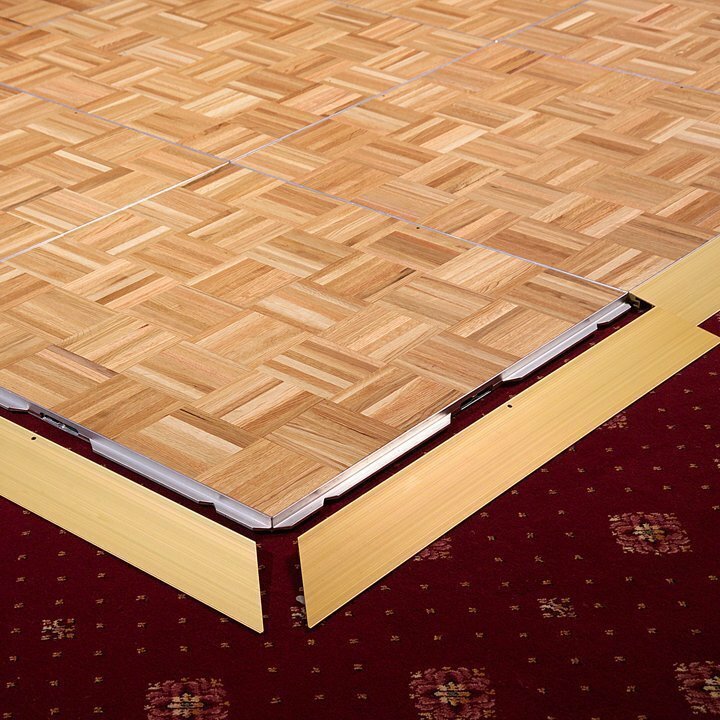 Each trim piece highlights the edge of the floor for your guests, helping to reduce the risk of trips and falls. 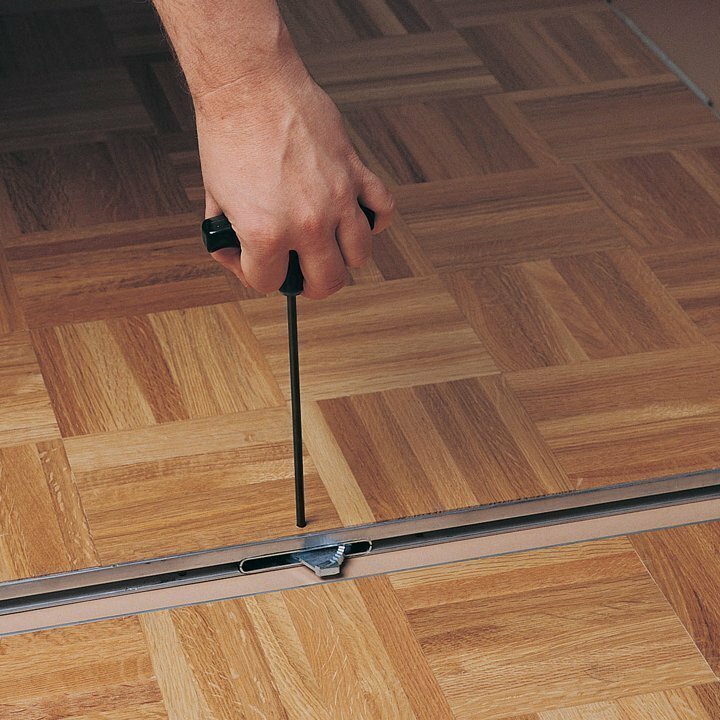 The edging on this floor works with the locking design to automatically align panels and trim pieces together for a faster and more secure fit. This makes for quicker, trouble-free assembly that's easier on your crews.